The perfect symbol of love. 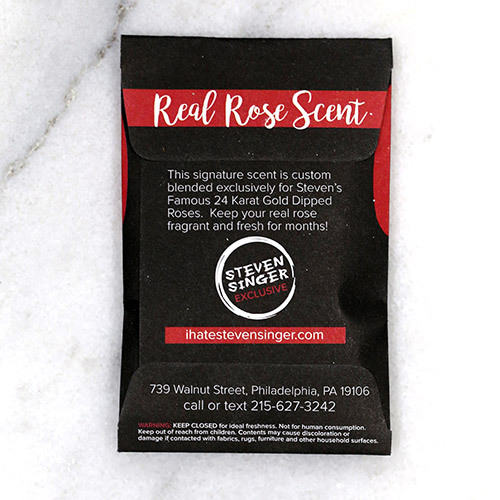 Steven's classic red rose picked at the height of its beauty, preserved, and trimmed in 24karat gold. 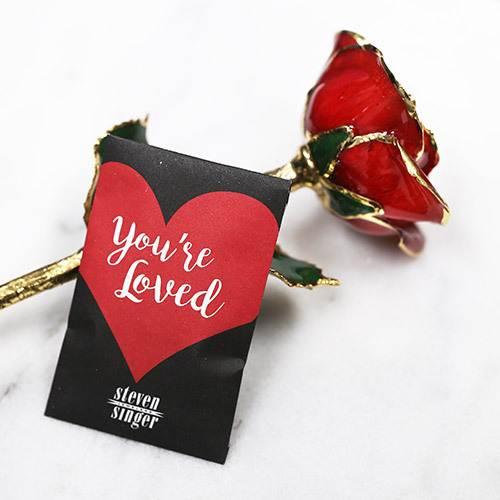 This rose will last forever and comes delivered in our signature gift box with your own personalized message. Display them year round, and get credit for this great gift 365 days a year! Each rose comes with a lifetime guarantee.